A pair of late inning home runs led the Chicago Cubs to a 4-2 win over the Milwaukee Brewers in the series finale at Miller Park on Sunday. Rookie Victor Caratini clubbed his first big league home run in the 7th to break a 2-2 tie and Kris Bryant added a solo shot in the eighth for the Cubs. Domingo Santana clubbed a two-run homer in the sixth to tie the game 2-2 for the Brewers, his 18th of the season. Zach Davies (12-5) took the loss, serving up the home run to Caratini. He allowed seven hits and three runs while striking out six. The Brewers dropped two of three after scoring just five runs in three games. They entered the finale stranding 23 runners and were 0 for 16 with runners in scoring position. The teams last hit with runners in scoring position came five days earlier, in Washington as Santana clubbed a RBI single. 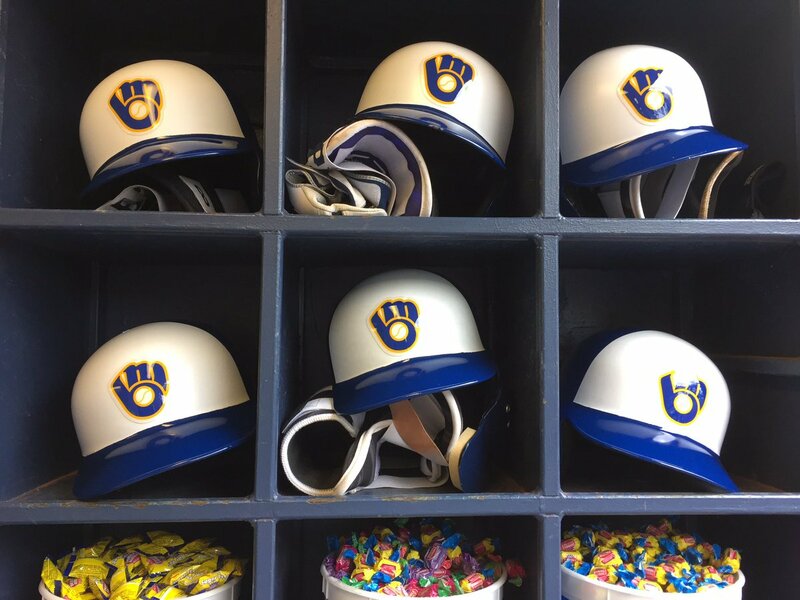 The Brewers have Monday off and will open a three-game series against the St. Louis Cardinals on Tuesday night at Miller Park. The Brewers sent starting pitcher Junior Guerra to Class AAA Colorado Springs and selected the contract of reliever Wei-Chung Wang. Guerra lasted just three innings in Saturday’s 2-1 loss to the Cubs. He lost command and walked four hitters. The Brewers ended up using six relievers in that game as Guerra fell to 1-4 with a 4.96 ERA. Sending out Guerra and with Matt Garza on the disabled list, the Brewers have only three starters on their 25-man roster.